Fibre up your inner wellbeing with prebiotics. The role that nutrition can play in one’s health has moved on from being purely physical. Consumers are increasingly interested in what it can mean for their emotional well-being as well. “Feeling good” can mean many things to different people, such as being comfortable (relaxed, at ease, not strained) and being in a good mood (happy, satisfied, joyful, optimistic). There is a growing interest in the effect that fibres have on our feeling of well-being. As much as 50% of consumers worldwide believe the gut microbiome influences their overall health. More specifically, at BENEO we are convinced our prebiotic fibres can have a beneficial effect on people’s quality of life. Inner wellbeing is all about feeling good. Under a curative and preventative point of view, Gut Health is important to consumers for a wide range of incentives. Steve Walton (HealthFocus International) shows different consumer segments to connect with them all. What drives consumers to gut health? The gut is like a second brain to the body and people think many aspects can be affected by a well-balanced digestive health. Ranging from a good physical health and managing their weight to supporting daily energy levels and a good mood. These drivers can be strong anchor points to connect with the different consumer segments on the subject of inner well-being. About 1 in every 5 consumers (globally) has the infortune to be affected in their daily lives by digestive issues and almost half of them is looking for solutions. While they attempt to live a healthy lifestyle in general, it isn’t always that easy… Sometimes it’s just too tempting to grab something tasty and convenient. As for the consequences, they believe will hit them, they’ll deal with later. Products on the market that will trigger them are those that make staying on a healthy diet easier. Messages related to managing energy and stress levels as well as avoiding digestive discomfort are very appealing to them. Products helping to build immunity and achieve weight loss are those that make the difference for them. In a recent human intervention study, questions about digestive comfort were asked. People that were given Orafti® Inulin indicated better satisfaction results than those on the placebo. Chicory root fibre intake appears to have led to a better feeling of well-being. Read the paper. Orafti® Inulin and Oligofructose and can replace traditional sugars as well as fat content in a variety of applications and recipes. Our prebiotics offer perfect functional solutions like digestive health and weight management. The majority of consumers doesn’t have any issues or health concerns. Most of them are happy with their lifestyle and aren’t fussed about stress or energy levels. And yet,.. a large number of these people is concerned about their digestive health and how, if mismanaged, it can affect the way they live their life. They’re on the look-out for products that can help them maintain today’s lifestyle and their feeling of well-being. This group has a genuine interest in digestive benefits, and messages such as “prebiotic” “inner well-being”, “gut health”, etc. will catch their attention. BENEO’s naturally-sourced dietary fibre is the ideal ingredient to deliver on functional benefits such as digestive health. 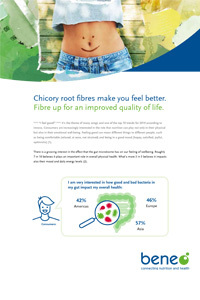 Seize the day with chicory root fibres and offer consumers the option to continue to enjoy their healthy lifestyle. 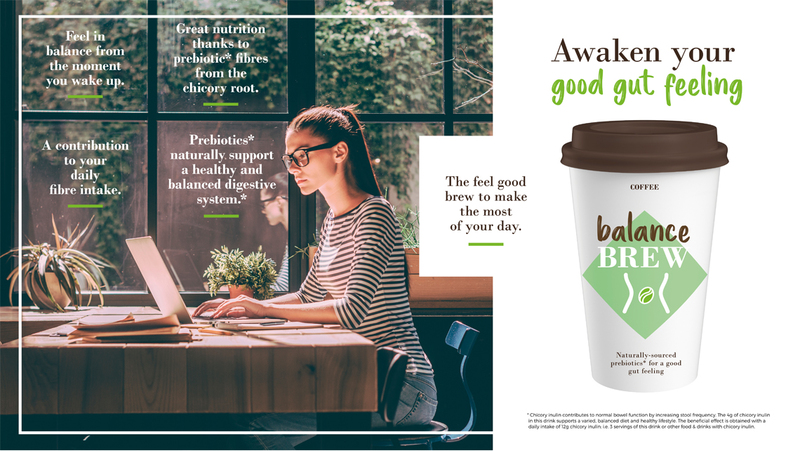 A feel-good-inside coffee that offers more than the usual alertness would be great for this consumer group. As per the above group, these consumers don’t have any issues. They are happy with their lifestyle and aren’t fussed about stress or energy levels. Are they living in a happy bubble? No, this group has wised-up. They understand the importance of good nutrition for their health and wellness; for now and tomorrow. Though not having any concerns for the moment, they think of the future and how a balanced diet and a healthy gut might help them to age well and look good for longer. For these millennials, it’s all about maintenance and preservation. Keep the machine “well-oiled” and running smoothly and you’ll be set for life. Prebiotics, and products containing these, could become their best friend! 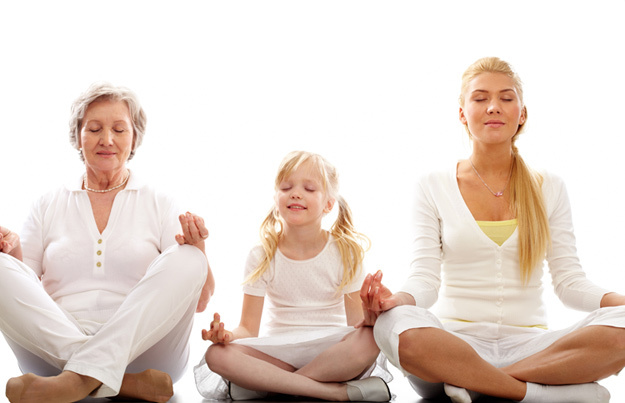 Staying healthy from an early age goes even further and is related to a strong immune system. Here, BENEO’s chicory root fibres can play a role. Though science is still developing, a recent scientific study on young children showed the importance of consuming Orafti® Inulin for the building of a natural defence system. Chicory root fibres for a good gut feeling. Get your gut in a happy and balanced mood thanks to naturally-sourced chicory root fiber promoting digestive wellness throughout the entire day. Dairy alternative drink with Orafti® chicory root fibres. 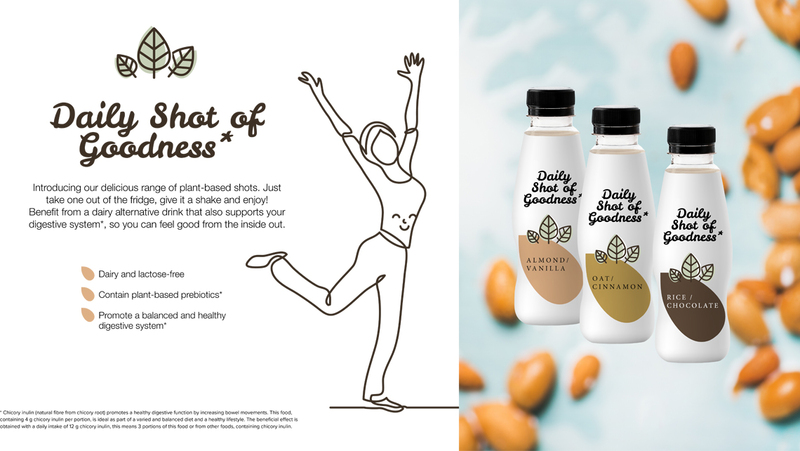 Tasty dairy alternative drinks with planted-based prebiotics promote a balanced & healthy digestive system so you can feel good from the inside out. Nutritional insights to inner wellbeing and quality of life. Feeling good is all encompassing; ranging from selective growth of beneficial bacteria to the mood status and ones perspective on quality of life. 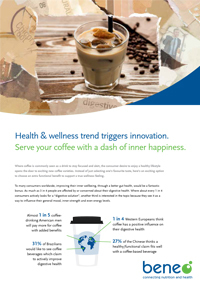 Health and wellness trend triggers innovation in the coffee segment. Serve your coffee with a dash of inner-happiness. 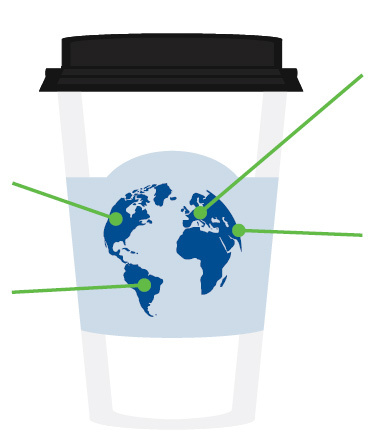 Where coffee is commonly used to stay focused and alert, the consumer’s desire to enjoy a healthy lifestyle opens the door to exciting new coffee varieties. Check for new recipe ideas!